Why iBerry Auxus Nuclea N1 is better than Micromax Canvas 4? Despite all the hype created by Micromax for Canvas 4, it did not reach expectations. Undoubtedly Canvas 4 has disappointed a huge chunk of Micromax’s fan base. Rather than pushing the specs of the device, this time Micromax has focused on adding capabilities by adding softwares. Of course software enhancements are important but they should not be the only priority, mainly when a serious “spec-war” is going on among competitors. Spec wise, hardly there is any difference between Canvas 4 and Canvas HD except the camera and build quality. Opportunistic responses have been observed by many desi brands. 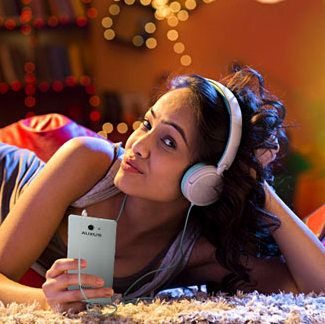 Among those, Spice and iBerry have jumped into market at right time with their Full-HD devices. Spice launched Pinnacle FHD and iBerry came with Auxus Nuclea N1 to counter attack Canvas 4. At many sections of the device Auxus Nuclea N1 is better than Micromax Canvas 4. Let’s list out and analyze the key points where Auxus Nuclea N1 runs as Milkha. An obvious feature that was expected from Canvas 4 was a full HD display, but Micromax “saved” pixels and released it with 720p screen. 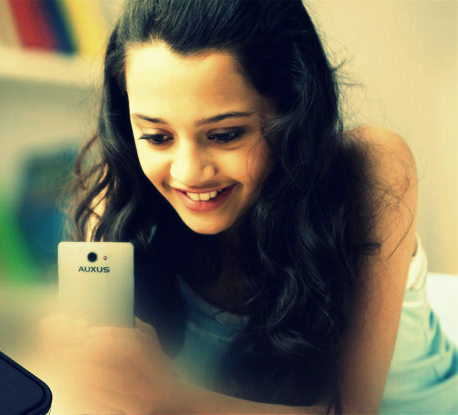 Auxus Nuclea N1 is full HD device with active matrix display, which is more crisp and clear. Both the devices come with 1 gigabyte of RAM. But with Mediatek’s 1.5GHz Quad Core Turbo processor, Auxus Nuclea N1 is far more superior to that of the Canvas 4’s 1.2 GHz Quad Core processor. Turbo processor has always been seen at top floors in benchmark tests. So Auxux Nuclea N1 could be a Ferrari on fingers. Auxus Nuclea N1 sports a 13MP rear camera and a whopping 8MP front-facing camera, while Canvas 4 comes with a 13MP rear camera and a 5MP front flicker. Though pixels doesn’t always seem to matter when comes to quality of the picture, but Micromax has pushed its camera quality further from previous devices. We have to wait for Auxus Nuclea N1 to see its quality of the cameras. Both the 5-inchers have come with cool design and unique from each other. Though Canvas 4 looks like BLU Life One, its metal-clad structure gives it a classy look. Auxus Nuclea N1 resembles HTC One in design. When eyeing on thickness, Canvas 4 is slimmer than Auxus Nuclea N1 as the former is 8.9mm and the latter is 9.6mm. Auxus Nuclea N1 weighs around 120g and is lighter than Canvas 4 which weighs 158g. With a full HD display and a quad-core turbo processor iberry has justified the device with powering it with a mega 2800mAh, while Canvas 4 still stands at 2000mAh line. Finally price is what all makes to chose between these “budget-high-end” smartphones. With making people wait for many weeks, Micromax has released Canvas 4 with an 18k price tag which really didn’t match with its specs. On the other hand Auxus Nuclea N1 comes for 16k as an introductory price. iberry says that it increases the price after the pre-booking time to 18k. Even if they increase, the number undoubtedly matches to its configuration. So above are the areas where Auxus Nuclea N1 is better than the Canvas4. There are some downsides too in Auxus Nuclea N1 like the device comes with only a 4GB internal storage whereas Canvas 4 boasts a 16GB internal storage but this can be compensated by adding external storage. Not only the hardware details but software features also amaze in Auxus Nuclea N1. It comes with automatic pause&play, smile detection technology, flip mute, voice unlock and also gesture controls. Though Canvas 4 is the best-ever Micromax smartphone, it is not the super in its budget range. iberry’s Auxus Nuclea N1 will be the new smarty in town if its specs sheet really performs well practically.